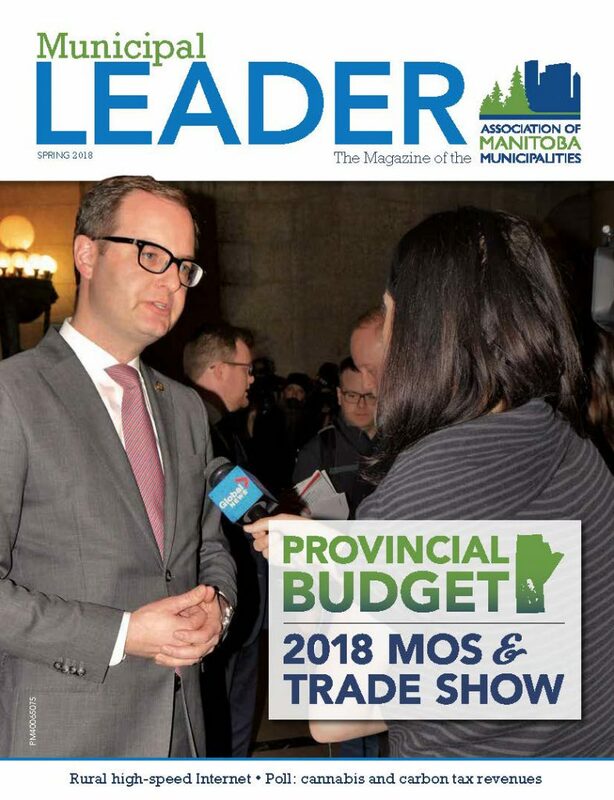 The Spring 2018 issue of the Municipal Leader offers readers the first preview of the 2018 Municipal Officials Seminar and Trade Show in Brandon, Manitoba. The rest of the issue highlights a little bit of everything. Learn how LiDAR data is enhancing elevation information and how Emerald Ash Borer may affect Manitoba’s communities. Read about the regulatory update regarding Manitoba’s waste management facilities and pick up some energy efficiency tips for your recreation facility. We’ve even included a well-deserved salute to Manitoba’s hometown Olympians! We also profile the innovative way several western district communities are offering their citizens high speed internet, and we talk to a former CAO-turned-councillor who shares the many highs – and a few lows – of his storied career. There’s also a story about a new vision for northern Manitoba called “Look North”. You won’t want to miss President Chris Goertzen’s thoughts on the 2018 provincial budget, and with June District Meetings coming up, we’ve included an article on “How to Write a Resolution”, as well.